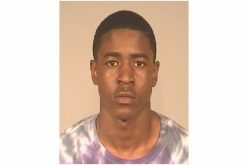 FRESNO – Sheriff’s officials released new information Monday regarding a Friday car chase that involved a wanted at-large parolee. 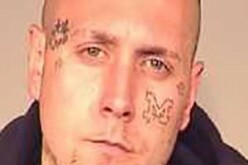 Javier Carrillo Baeza Jr., 25, was arrested Friday evening on several charges in connection to a pursuit in north Fresno. The investigation revealed that Baeza was originally wanted by the Fresno Police Department on domestic assault charges. 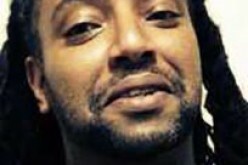 He was also a wanted parolee who was booked into county jail on charges of assault with a deadly weapon on a peace officer, felony evading, parole violations and vehicle code violations. According to sheriff’s spokesman Chris Curtice, the chase first began approximately 7 p.m. this past Friday, when a deputy attempted to stop a green Ford Explorer driven by Baeza in the Old Fig Garden area of northwest Fresno. Baeza failed to stop and a pursuit ensued. Baeza then led police and a sheriff’s helicopter to Blackstone and El Paso avenues near the River Park Shopping Center. According to Curtice, the wanted parolee then tried using his Ford Explorer as a weapon against one deputy who was pursuing him. 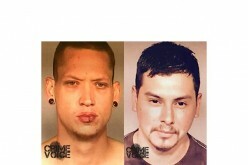 Deputies continued to follow Baeza, who traveled toward the cross streets of El Paso and Alluvial avenues. The wanted suspect then crashed into a ditch near the cross streets and tried to escape by foot. “After approximately 100 yards, deputies caught Baeza and arrested him without further incident,” Curtice said. No sheriff deputies, including the officer whose vehicle was rammed by Baeza, were injured during the pursuit.